So a secular state does not mean denying the role of Christianity and other religions – for both good and ill - in history and culture. It does not mean that religious people must forego their principles if they enter public life. Perhaps most important of all, it does not mean a society lacking in values. There’s a fairly clear set of liberal, human values shared by the majority in the UK and most other western countries, including freedom of speech, thought and belief; respect for democracy and the rule of law; equality of gender, age and sexual orientation and the view that fairness and compassion are virtues. Many of these values are enshrined in law. The NSS and the BHA really ought to know what they’re talking about here. Unfortunately, many people, usually people who are not themselves secularists, use “Secularism” interchangeably with “Atheism” or “Humanism”. The previous Pope even talked of “militant Secularism”, meaning “militant Atheism” (despite the fact that the weapons used by “militants” like Richard Dawkins are writing books and giving lectures, not planting bombs). But you can be religious and secularist. In fact the unequivocally Muslim, anti-Islamist campaigner, Maajid Nawaz, has just become an Honorary Associate of the NSS. The reason for this confusion is that western countries have only become secular - to varying degrees - after many centuries in which the Church was a major power in society and there were constraints on freedom of thought and expression. Much of that power has been eroded since the Enlightenment, but battles are still going on. For example, 26 unelected bishops remain sitting as of right in the British Parliament, and many state-funded schools can discriminate in their admissions simply on the basis of parental belief. It’s no surprise that the protagonists in these battles are usually churches on one side, and humanists and other atheists on the other. If you’re on the side of the churches, it probably feels that Secularism and Atheism are the same thing – The Enemy. According to the 2013 British Social Attitudes Survey, 51% of the British population are now “Nones” - people who do not consider themselves as belonging to any religion. It was 31% in 1983. Only 16% are now Anglicans, the Established Church (40% in 1983), 12% non-denominational Christians, such as African Pentecostal (3% in 1983), 9% Catholics (10% in 1983) and 5% Muslims (0.6% in 1983), with Hindus, Sikhs, Jews, Buddhists and other types of Christians making up most of the balance (all under 2%). Within each of these groups there is a lot of diversity: at least 10 different sects comprise the 5% Muslims, and the 0.5% British Jews range from ultra-Orthodox to Liberal. So we’re seeing both a big decline in religiosity and an increase in Pluralism. It’s hard to imagine a more plural global city than London. You can currently be put to death simply for the “crime” of Atheism in 13 countries, according to the International Humanist & Ethical Union’s 2013 “Freedom of Thought” report. Saudi Arabia has now passed a law declaring atheists to be terrorists. In Mosul, in northern Iraq, there has been a Christian community for around 1600 years. In 2003 there were 70,000 Christians living there. Now ISIS have taken over and they have all fled. In Burma the government seems to be doing little or nothing to stop extremist nationalist Buddhist groups from massacring Rohinga Muslims. In Pakistan there’s growing evidence of ethnic cleansing of Shia Muslims by Sunni terrorist groups – the word “genocide” is appearing - and it is illegal for Ahmadiyya Muslims to claim to be Muslim. Often they are simply killed. In Malaysia, Christians have been legally forbidden to use the word “Allah” to refer to God, even though they have been doing so for hundreds of years. In Iran there is institutionalised persecution of Baha’is. Sadly, there are many other examples where the response to Pluralism is oppression. Often it’s entwined with political power, driven by fear of losing power - or simply of change - and lack of confidence that the favoured belief will succeed in a plural environment. 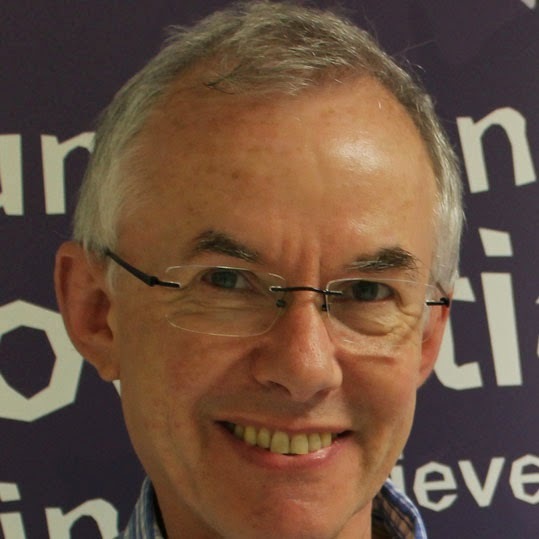 Jeremy Rodell is the chair of South West London Humanists, which he co-founded in 2007 and is a Partner of the British Humanist Association. He’s a speaker on Humanism, the humanist representative on two local interfaith forums, a schools speaker for the interfaith charity 3FF (formerly the Three Faiths Forum) and has recently become a member of the International Association for Religious Freedom. He is also the humanist convenor of a local Catholic-Humanist dialogue group. Aside from these activities, and a business background, he works with the charity Age UK and is chair of Trustees of Eastside Educational Trust, which provides arts education to young people across London. A very interesting and informative post. Thank you.